* FULLY BOOKED * Are you ready for an adventure of a lifetime? 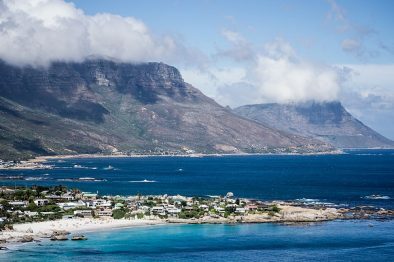 This journey of over 50 days will take you from South Africa, via the Ascension Island and to the Portugese archipelago of the Azores. You will sail over 3,000 nautical miles and cross the Equator. This epic voyage will give you time to truly get your sea legs, learn a lot about sailing and maintaining a Tall Ship and discover remote islands on the Atlantic Ocean. You can also gain some knowledge about scientific ocean research of the oceans, which will be going on on board. Open to Windseekers of 15 years and older. Pplaces in 2-person cabins no longer available. 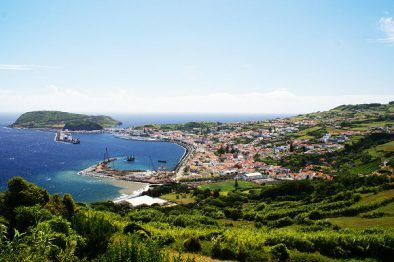 Horta is situated in the western part of the Archipelago of the Azores on the island of Faial. The marina is a primary stop for yachts crossing the Atlantic. Its walls and walkways are covered in paintings created by the crews of visiting ships. Peter’s Cafe Sport, located across from the marina, houses the island’s scrimshaw museum. A collection of artefacts carved from whale tooth and jawbone. This café is a point of reference for trans-Atlantic yachtsmen and sailors.